Traktor Kontrol Z1, 2-Channel Mixer from Native Instruments in the Traktor series. The Traktor Kontrol Z2 DJ mixer now has a little brother, the Z1, with built-in sound card. Native Instruments Traktor Kontrol Z1 combines a two-channel mixer with 3-band EQ, filter/effect and gain controls per channel, to a 24-bit soundcard. It is designed to control Traktor and Traktor Pro 2 products. A Cue section allows for pre-listening each channel and mix the tracks, and a crossfader is included. You can also connect an iPhone or iPad, the Z1 can even charge you iDevice. 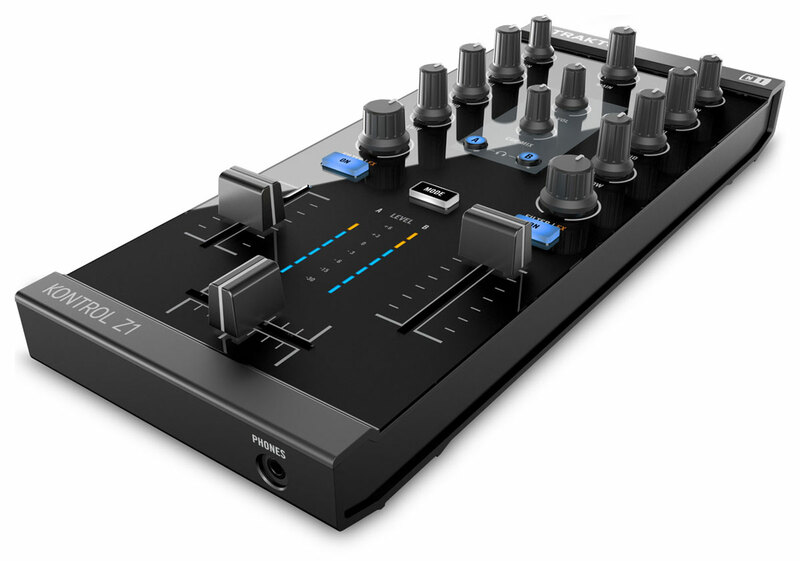 The Traktor Kontrol Z1 mixer and controller will be available on July 3rd and will retail for 199€. You can pre-order it now at www.native-instruments.com. Happy Hour promotion on Traktor Kontrol Z2 Native Instruments launches the Happy Hour special offer for Traktor product users who want to purchase the Traktor Kontrol Z2 mixer. Pioneer XDJ-R1, all-in-one DJ controller Pioneer will launch next month the XDJ-R1, its new all-in-one control system for DJ. Hercules DJ Control AIR with a Plus Hercules will launch in June an enhanced version of its DJ Control AIR control surface.